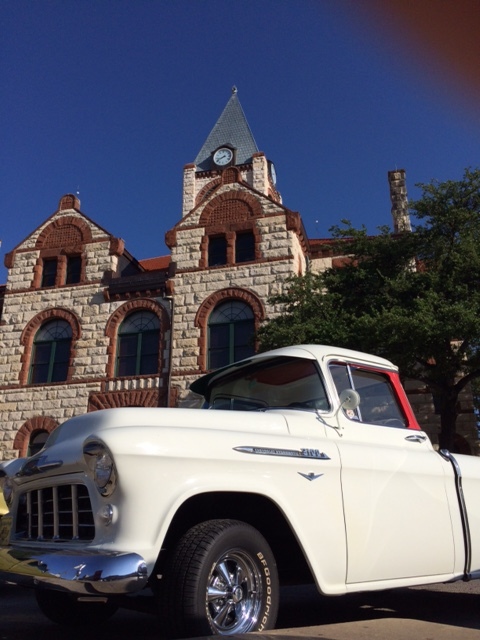 Cars and Coffee at the Courthouse is held in the Erath County Courthouse parking lot on the first Saturday of every month except in March. With Christmas fast approaching, vintage car owners and fans are gearing up for the final Cars and Coffee at the Courthouse for the year. The car show this Saturday will include a holiday toy drive. Cars and Coffee at the Courthouse is held in the Erath County Courthouse parking lot on the first Saturday of every month except in March. Organized and run by Daniel Brock, Cars and Coffee at the Courthouse kicks off at 7 a.m. and ends at 9 a.m. This event has been a Stephenville crowd pleaser since 2016 and is a chance to see vintage cars from all around the area. The toy drive at this Saturday’s event will benefit the Choices Clinic. Brock said the gifts should be unwrapped and any toys are welcome. The targeted age range is children six and younger. Cars and Coffee at the Courthouse offers an opportunity for vintage car owners to show their vehicles in a causal way, unattached to a vintage car organization. “A lot of people want to bring their cars out but don’t want to join an organized car show group,” Brock said. Vintage car enthusiasts come from all around Erath County and surrounding counties to the monthly gathering. Brock said the vintage cars come from Brownwood, Mineral Wells, Hico, Dublin and other nearby towns. “The most we’ve ever had at the courthouse are 65 cars, but we average roughly 35 cars,” Brock said. Being the only volunteer, Brock rises around 5 a.m. on the day of the Cars and Coffee event and makes coffee and buys donuts for the car show visitors. “I pay for everything out of pocket and there is a donation jar,” Brock said. Donations go towards coffee, donuts and supplies. Those attending the event also can get 10 percent off breakfast coupons at Greer’s Ranch Café. For more information, check out the Cars and Coffee at the Courthouse Facebook page.